Usher's 11-year-old stepson, Kile Glover, passed away on the morning of July 21st after being removed from life support. 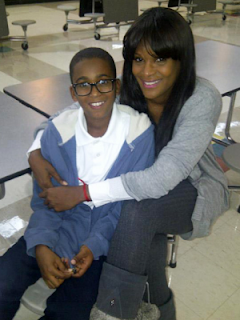 Doctors told his mother Tameka that Kile's injuries would be very hard to overcome, so she had to make the final decision about removing his life support. Kile collided with a jet ski while tubing on July 8th and was declared brain dead only a few days after the accident. The accident is under investigation by police.